Hey everyone, I'm here to share a new layout with you today. 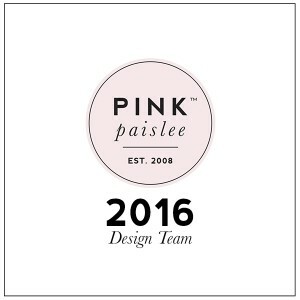 I am beyond excited to be continuing with Pink Paislee this year and creating with these gorgeous products. C’est La Vie landed on my doorstep recently and boy it is amazing! I created a video walking you through the collection here incase you missed it! To create the layout I am sharing today I was totally inspired by the paper below from the collection. As soon as I saw it I imagined cutting up all the pieces and designing it into a layout. The photo is one I took of my kiddies a couple of weeks before christmas. I absolutely adore it and for me this just sums these two up completely. I did not create this layout to journal about an event particular but I actually want to purchase a frame for this one and display it in my craft room. The floral pieces on this layout were cut from one of my favourite patterned papers in the collection. I then layered that with the ephemera tag, handcut heart, and embellished to the right with the gorgeous cork heart, puffy sticker and clear sticker. To add a bit of detail to the word strips I have added little strips of washi from the washi tape pack. I love how many different designs we can get within a packet compared to having one washi roll! That gorgeous flower was also cut from the patterned paper. When creating the layout I felt like I had to add some detail to the blank space on the top right of the photo. I decided to create a little cluster with a combination of card stock and acetate die cuts, a fussy cut floral piece, a puffy sticker and one of the super cute clips. I finished that cluster with the black with gold foil transparent word sticker. To add a little more texture and detail I finished the page by adding machine stitching and a couple of the black with gold foil word stickers. A perfect finishing touch! I am looking forward to continuing to create with this collection.